Under the Trump Administration, EPA is making rapid and far-reaching changes to environmental regulations from rolling back mercury and air toxic standards for power plants to undermining the new law meant to review chemicals for safety before products hit the shelves. Civil penalties for polluters dropped dramatically in Trump’s first two years, analysis shows - Civil penalties for polluters under the Trump administration plummeted during the past fiscal year to the lowest average level since 1994, according to a new analysis of EPA data. 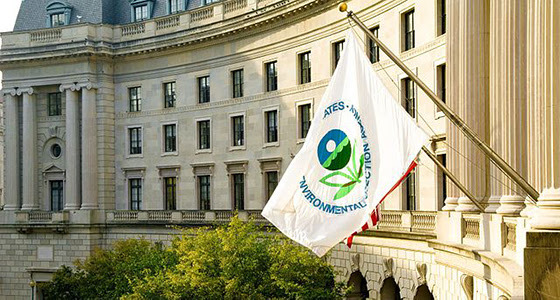 The decline in civil penalties could undermine EPA’s ability to deter wrongdoing, some former agency officials said. EFSA set to slash limits on PFAS exposure - Exposure to non-stick fluorochemicals damages health at dramatically lower levels of exposure than previously thought, according to scientists working for the European Food Safety Authority. A coalition of regulators, academics and government scientists united to demand more stringent regulation of PFASs last September. The European Chemicals Agency is considering restricting 200 of them from the market beginning next year. California repeals business furniture flammability standard - The move will enable seating manufacturers to meet state requirements without the use of – often dangerous – chemical flame retardants more easily. The state’s Bureau of Electronic and Appliance Repair, Home Furnishings and Thermal Insulation said about the repeal “the use of organohalogen flame retardants typically used to meet TB 133 present significant health risks to consumers, as established by overwhelming scientific research. " The proposal had the backing of a wide array of NGOs, architecture firms, corporations, and firefighters. A running list of how President Trump is changing environmental policy - National Geographic is maintaining an abbreviated timeline of the Trump Administration’s environmental actions and policy changes, as well as reactions to them. They will update this article as news develops.